(NaturalNews) At least 124 food and outreach organizations, as well as 26 individual scientists, have signed onto a letter sent to the Bill & Melinda Gates Foundation protesting ongoing human trials of genetically modified (GM), beta-carotene-enriched bananas intended for Africa. The GM bananas, which never underwent animal trials, are currently being administered to 12 students attending Iowa State University (ISU), presumably without full disclosure as to the many unknown risks involved. According to the letter, the trials are taking place under the guidance of Dr. Wendy White, an associate professor of food science and human nutrition. Funding for the trials came from a grant issued by the Bill & Melinda Gates Foundation. "We, the undersigned, representing diverse constituencies from across Africa and the world, working towards food sovereignty, are strongly opposed to the human feeding trials taking place at the Iowa State University involving the so called genetically modified (GM) 'super banana,'" reads the letter. Prior to landing in Iowa, the transgenic bananas were spawned at the Queensland University of Technology in Australia, also with funding from the Gates Foundation. The goal all along has been to eventually force these "frankenfruits" on Uganda and other countries in East Africa. But there is still no evidence that the GM Matooke bananas are safe. Most independent research to date suggests that GMOs can induce allergies, trigger autoimmune disorders and even cause cancer, especially after many years of consumption. "Numerous health problems increased after GMOs were introduced in 1996," explains the Institute for Responsible Technology. "The percentage of Americans with three or more chronic illnesses jumped from 7% to 13% in just 9 years; food allergies skyrocketed, and disorders such as autism, reproductive disorders, digestive problems, and others are on the rise." Another major concern with the Gates Foundation's GM bananas is that they are a functional food designed for complete human consumption. They are substantially different from GM corn and soy, for instance, which contain modified traits and aren't consumed directly. 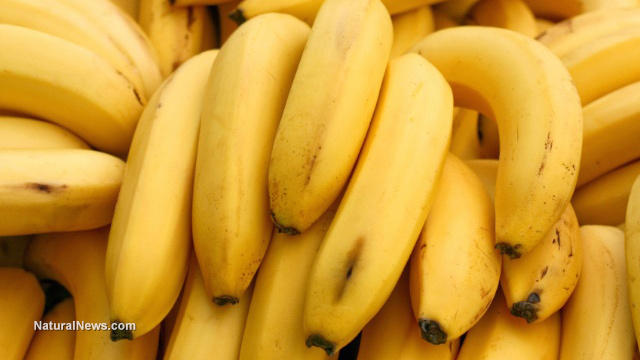 "Unlike current GM crops in commercial production where agronomic traits have been altered, scientists have spliced genes into the GM banana to produce substances for humans to digest (extra beta carotene)," explains the letter. "The GM banana is a whole different ballgame, raising serious concerns about the risks to African communities who would be expected to consume it. Production of vitamin A in the body is complex and not fully understood." If addressing vitamin A deficiency is really Bill Gates' concern in all this, then he would be actively encouraging Africans to consume a more diverse array of foods already native to their country that are rich in vitamin A, including sweet potatoes and other natural varieties of carotene-rich bananas. Instead, he is pushing for an untested banana with altered vitamin A levels to be forced on rural Africans who already have access to all the naturally vitamin A-rich foods they could possibly want. The real goal may have to do with Gates' other admitted agenda to greatly reduce the world's population. "Great strides have been made in the Philippines, another target country for vitamin enhanced GM crops, through government programs that supply supplements and improve access to vitamin A rich foods, to overcome Vitamin A deficiencies," adds the letter. "Ironically, the promotion of a GM food staple high in Vitamin A, risks perpetuating monolithic diets, the very causes of Vitamin A deficiency in the first place."